Good News! 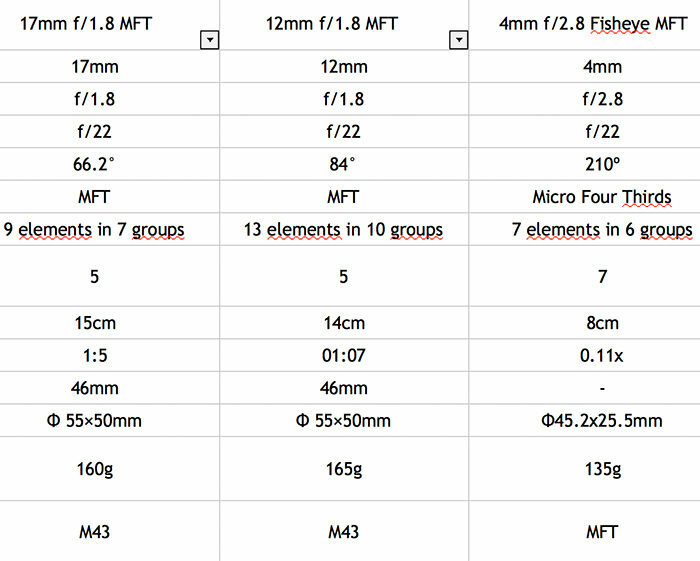 Venusoptics will soon announce three new MFT lenses at Photokina: Laowa 17mm F1.8, 12mm F1.8 and 4mm F2.8. Laowa 17mm f/1.8 is a new compact, standard prime designed for Micro Four Thirds cameras and it gives a 35mm-equivalent field of view. The lens houses 9 elements in 7 groups and have a 5-blade aperture for the best sunstar rendering. The lens is extremely compact and lightweight, weighs only 160g (0.36lbs) and is 5cm (2”) long. A 46cm filter thread is included and the 15cm minimal focus distance make it a perfect lens for videography. 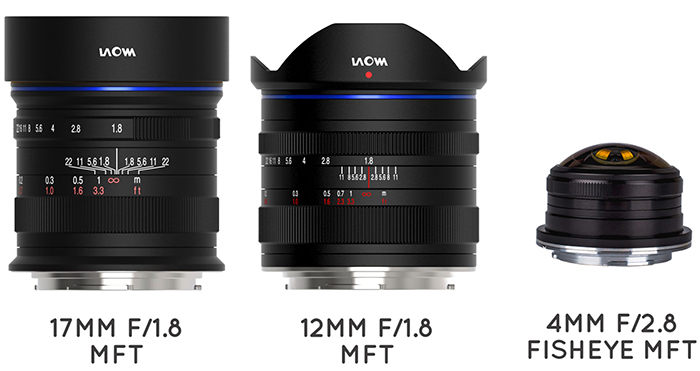 Laowa 12mm f/1.8 is a new compact, wide-angle prime for Micro Four Thirds cameras and it gives a 24mm-equivalent field of view. The ultra-fast f/1.8 aperture allows photographers to take astro photos with ease. The lens houses 13 elements in 10 groups and a 5-blade aperture. The lens can focus as close as 14cm (5.5”) and takes 46mm screw-in filters which gives extra convenience to videographers. It weighs only 165g (0.4 lbs) and its 5cm long (2”).